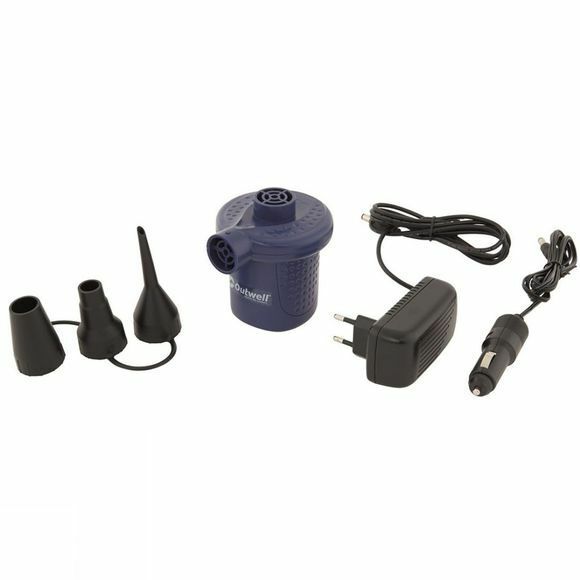 The Sky Pump 12/230V Set from Outwell is a handy electric air-pump set that can be powered from both the mains (230v) and via a 12v car socket. Compact and powerful with a wide variety of nozzles, it can both inflate and deflate. Please note: The image shows an EU plug but this set does include a UK plug.